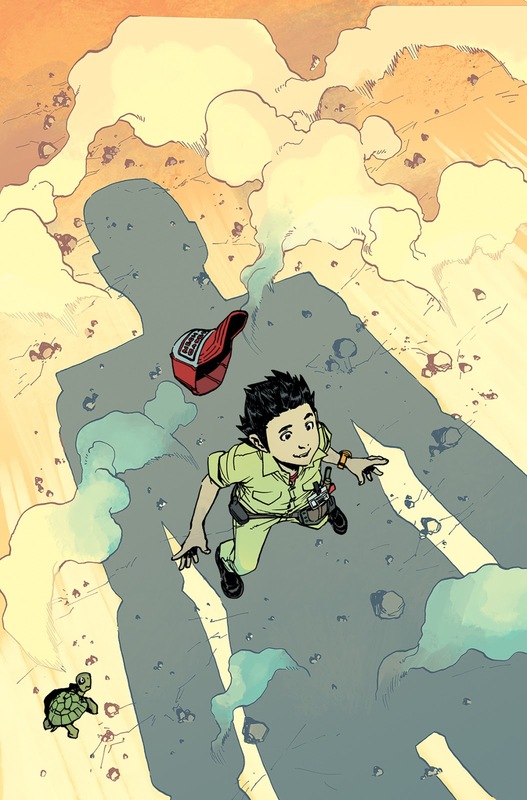 The superstar dream team of writer Greg Pak (Hulk, Weapon X) and artist Takeshi Miyazawa (Ms. Marvel, Runaways) reunited to deliver the story of Stanford Yu, a young janitor who is unexpectedly chosen to join the sacred ranks of the mech cadets at Sky Corps Academy. Once a year, giant robots from outer space come to Earth to bond with the cadets to defend the world from terrifying aliens known as theSharg. After he unintentionally bonds with his robot, Yu is thrown into training, hoping to prove he is worthy of being there at all. Retailers, please note MECH CADET YU #2 is a BOOM! Studios Guarantee title, with an FOC date of August 21 and on-sale date of September 13. Fans, place your pre-orders with your local comic shop by August 21 to guarantee your copy of MECH CADET YU #2. The issue comes out September 13.